With a foot in two countries and (sometimes more) this successful Spanish nomadic woman does her bit for New Zealand tourism with her business Kiwi Hopp. Growing up in a small country called Andorra in-between Spain and France Tania lived life near the mountains and holidayed at their beach home, she travelled a lot with her tight-knit family. Her mum and dad were both teachers that did everything together and always worked at the same schools. At 12 years old her dad was Tania’s teacher, she was by no means the teacher’s pet though and remembers countless times writing on the blackboard ‘I will not talk in class.’ There was no way she wouldn’t get away with not doing her homework either. Being a teacher’s daughter also meant she travelled a lot from school to school, eight different schools in fact, but Tania adapted to this lifestyle nicely and is grateful for it now. She has travelled a lot with her work and welcomes continuous change. After studying a Bachelor of Arts with a Masters in Education Counselling Tania was off to travel the world. She started in Great Britain, then landed an exciting job where she lived on a super yacht in the Mediterranean. On weekends and holidays the family would leisurely come aboard, and they would set sail on voyages around the Mediterranean sea and even spent 25 days on the Atlantic Ocean heading to the Dominican Republic where she jumped off and lived and partied for eight months. At this time her friend that she’d met on the super yacht was enticing her with his stories of New Zealand, the potential adventures to be had and how he was learning to surf in this beautiful country. A sucker for adventure Tania’s arm didn’t need much twisting and after a Google search of New Zealand and a pocket of super yacht cash she was off. First she needed to learn English which she chose to do in one of New Zealand’s most picturesque locations, the Coromandel. She stayed for 2 months before heading off to travel the country on a working holiday. On the way back up the country she returned to the English school and was offered work doing their marketing and admin. She realised that there weren’t enough Spanish students and started working for commission for them, encouraging people over from Spain and South America. The idea was born for her business as she saw the need throughout other schools across NZ. She started Kiwi Hopp three years ago. 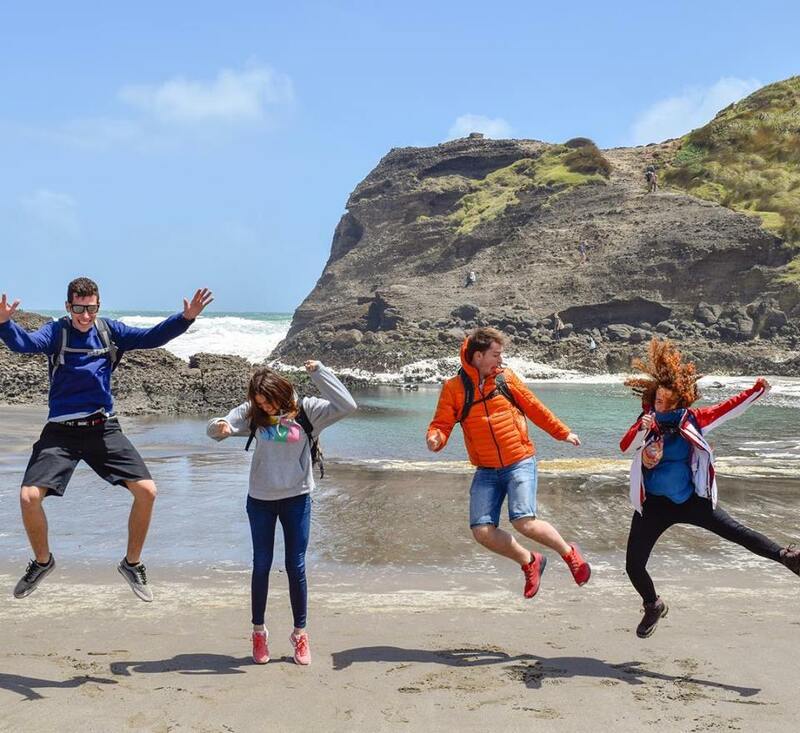 This innovative business is about bringing Spanish speaking people to New Zealand to study at English Schools, Kiwi Hopp are paid commissions by the schools to make this transition run smoothly. They arrange accommodation, bank accounts, sim cards, transport and even potential part time jobs for the students. They are also in charge of promotion and marketing to Spanish speaking countries. This successful business now works with schools across NZ, has three people in the marketing team that can live anywhere in the world, five staff in sales and eight casual staff on the ground that look after the needs of the students when they arrive in the country and during their stay. For six months of the year Tania comes to live in New Zealand, the other six months she lives in Spain. She started her time here at The Workshop working two days a week as our community connector but decided to be a resident hot desker as she spent more time away from Auckland. Her favourite part of working at The Workshop is the people. The networking aspect has meant she has potential work for her students too. She also likes the events after work that help her develop her skills in digital marketing. At The Workshop we are all about supporting business growth with optional business coaching for our residents and attractive after hours events. We don’t see our role as just a location but more as a supportive collective that helps you connect to the right businesses to collaborate with.